After only 2 years, the European Championship returns to Berlin! Back in 2016 we've held a preparation tournament the Thursday before the event and this year we will do it again! If you want to set your mood for this years most important tournament and be prepared when it comes to the showdown then don't miss this opportunity and visit us: BB-Land Berlin - homestore of some well-known German players! The entry fee for the tournament is 12,00 €. 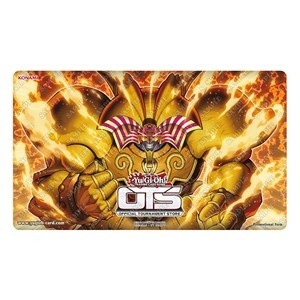 With your entry fee, you will receive 2 Booster Packs of Battles of Light: Relentless Revenge (BLRR). +++Among all participants, three Special Edition Flames of Destruction will be raffled. Advanced Constructed - Every Duelist must bring their own deck in order to compete. Decks must be constructed according to the latest Forbidden & Limited Cards List. Swiss+Playoffs - The number of Swiss Rounds depends on the number of players registred for the first round. The best 4 players will play the Top Cut in Single Elimination. *Please keep in mind that this is an unofficial tournament. It follows the same tournament rules as official Konami tournaments but doesn't award Konami Card Game Network (KGCN) points. We're looking forward to see you at our store! Please let your friends know by sharing this event!